Recently, I was introduced to an amazing woman, Rebecca Wofford, from Smarty Mom, April Whitlock. Remember? Everyone is 6 degrees of separation from April in the QC! I quickly realized I was in for a real treat and needed to share Rebecca’s project with all of Smarty Charlotte. Rebecca Wofford has moved mountains for a school in Tanzania with her non-profit, The Lunch Project. Can you ever imagine that $85 can feed 900 children? I was floored and immediately intrigued when I learned that piece of information. Rebecca is one of the most interesting women I’ve ever met. I loved her within 5 minutes of talking with her. I could have spent an entire week with her. She’s selfless, full of grace, compassion and highly intelligent – she ditched her law career to help children halfway across the world. And she doesn’t get paid a penny. But what she does get paid with is far more valuable than any salary. She can say with conviction that she is changing the world one meal at a time. I left our meeting hoping that I could hop aboard her next trip to Tanzania, it sounds absolutely life-changing. I’ll let her tell you all about it. 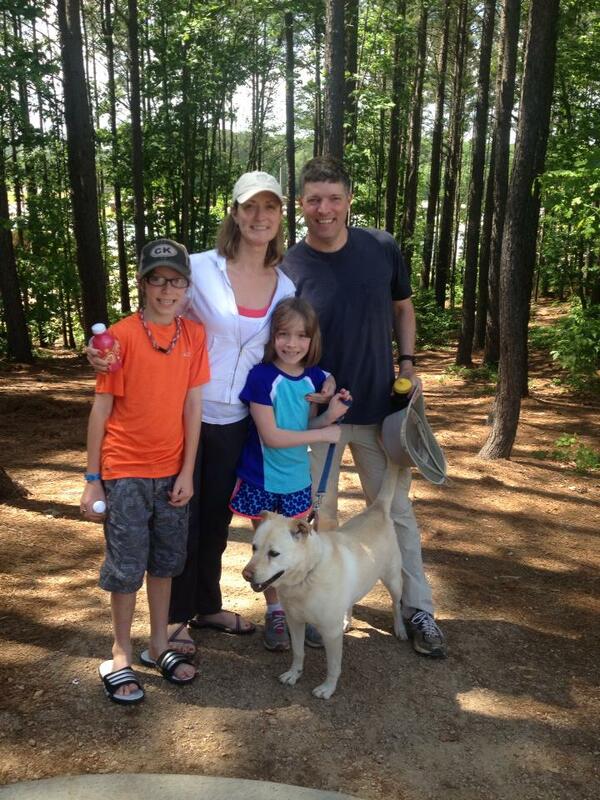 Smarties, I’m thrilled to introduce you to this week’s Smarty Mom, Rebecca Wofford! Tell us about The Lunch Project. The Lunch Project gives kids the fuel to learn. We support sustainable community-run lunch programs in Tanzania and inspire global service in elementary school kids in the U.S. In March 2011, I visited Tanzania as a law professor. We were studying the Millennium Development Goals and specifically the goal of providing primary school education for all children. Visiting with the community surrounding Lemanyata Primary School gave me an incredible sense of purpose and hope because the families there were doing everything within their limited means to educate their children. I shared their belief that education is the key to lifting communities out of poverty and wanted to help them achieve their goals. In founding The Lunch Project, we developed a sustainable lunch program at Lemanyata Primary School by leveraging all of the resources in the local community. Our Tanzanian coordinator purchases ingredients locally grown direct from the farmers. Mamas cook the food over an open fire. Children bring cups, firewood and water from a local well. Kids attend school when lunch is served because they know they will receive a hot meal and will be better equipped to learn. Attendance is now at 90% or above every day lunch is served and the standard 7 test passage rate for entrance into secondary school has risen to 86% with many more students taking it. Because the lunch program is locally sourced, $85 pays for the supplies for 900 meals in Tanzania, so for 9 cents we can feed a child who is attending school and trying to create a better world for him or herself and the community in which they live. After developing the model lunch program in Tanzania, we immediately realized how much kids could learn from the model. Our Education Program helps elementary school kids become more globally aware and empowers them to help others through problem solving and creativity. What were some challenges that you faced in the early days and how did you overcome them? What is your vision with The Lunch Project? We want to become a platform for kid philanthropy. Parents should trust that when their children give to others, their children will (1) make a meaningful connection to those being helped; (2) see the impact of their giving; and (3) will be empowered to become change makers. The Lunch Project is an excellent model for kid giving because kids everywhere understand the need for a full belly at school, kids appreciate that the community, including kids, are involved in making the lunch program happen every day, and that, stripped down to its essential components, you can make a difference a real difference in the lives of others with change you save in a bowl. 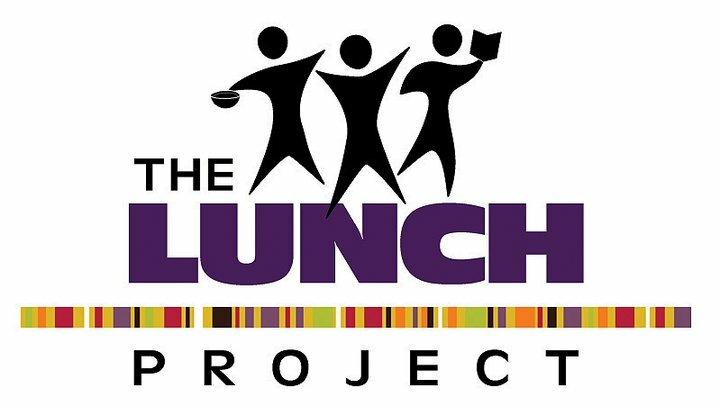 How do we get involved with The Lunch Project? Anyone can help by saving change in a bowl. It is as simple as finding 9 cents to pay for one hot meal or saving $85 which will feed 900 kids or an entire school lunch. You can also invite The Lunch Project Education program to your school so we can help kids learn about the world around them and how easy it is to solve problems and make a difference. Your family can join us this summer for our Summer of Service program (see below), which engages families with elementary-aged children in service. Parents and children can attend a workshop on philanthropy and receive guidance on how you can make a difference. By the end of the summer, your child will have created a family-fun project that will feed 900 kids a hot meal. Summer of Service came about because we, as parents, found there was a lack of opportunities for young children to give back in their community. We believe it is important for families to model the value of service by doing. Elementary age children are learning the world is bigger than themselves. They are full of creativity and energy to make it a better place. They are are developing empathy, compassion and have a natural generosity. Knowing that how you spend your family time is a reflection of your values, Summer of Service hopes to help families make service and giving a focus of their summer in a fun and bonding way. While kids are welcome to help TLP any time of year, we offer Summer of Service when families have the time and space to let children brainstorm, plan and execute kid-led service projects. We ask parents to take a support role. When kids take the lead in a family service project they are empowered. We have seen Summer of Service kids develop confidence, organizational skills and really feel the positive impact they can make. These are often projects an adult would not have considered. Last year’s projects included a Pirate Camp, Hoops for Hunger, a tea party, yard sales, lemonade stands, and many others. The beauty of this model is that each family can answer the questions – What do we love to do? How can we do that to change the world for the better? What better way to bring a family together than in service to others. Moving on to the mom stuff…how has this changed your family? We talk more about giving and doing for others. We also practice better financial habits. My husband and I try to let our kids solve problems independently or with guidance but not solve problems for them immediately. We are more aware of people around us and how we fit into the fabric of our community. Because of this, we place a higher value on family, church family and friends. And we have tried to reduce our waste and think about what we eat. What is your favorite thing to do with your family this time of year? We like to play in the backyard, which includes badminton and corn hole tournaments and we like to ride bikes on the Greenway. Bring broth to a boil and add chicken, salsa and corn. Bring to a simmer and and add diced tomatoes. Simmer for at least 20 minutes. If you wrote a parenting manual, the title would be? Behavioral trait you hope your children don’t inherit from you. I hope my kids do not inherit my trait of over-commitment. It is o.k. to say “no” sometimes because you will have more time for what really matters to you. I have had to say “no” since starting The Lunch Project and it has been a blessing to learn how and not feel guilty about it. Show Gratitude. The people of Tanzania taught me how to show sincere gratitude and I want my children to be thankful for everything and everyone and in every situation to find something for which to give thanks. Here’s a recent Facebook post of mine from a conversation with my son Sam – ‘So, today we were driving around in the Jeep listening to music and this song called “Pompeii” came on. Sam explained to his sister all he knew about Pompeii. Then, he picked up that a line was about “being optimistic.” He says, “they are singing about Pompeii? What is optimistic about that?” Then, “I guess they could say, ‘well, we don’t have to pay our overdue library charges now. '” And, there’s the bright side. Here’s a recent Facebook post about what my daughter said – “So, the phone rang. The caller I.D. said U.S. Senate. Cate answered and said immediately, “I will gladly be your President.” It was a live voice chat with Senator Kay Hagan. Having a long chat with a great girlfriend. To learn more about the Lunch Project, you can find them on their website, blog, facebook and twitter. Mother’s Day is right around the corner. Honor your mother by giving her the gift of The Lunch Project. $85 feeds 900 and we will provide a very special thank you to your mother for being strong for you. When donating at www.thelunchproject.org please comment “for my mother” and provide your mother’s name in the subject line. Register NOW for the 2014 Smarty Mother’s Day Swag – 41 winners, $3,200 worth of swag! Are girls winning the gender popularity contest? We love the lunch project! Awesome to see you here today. Awesome post! 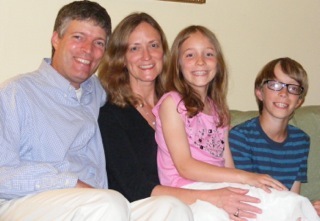 Rebecca is doing a wonderful thing for Tanzanian and Charlotte families. Proud to call Rebecca my friend! Rebecca is an amazing person! 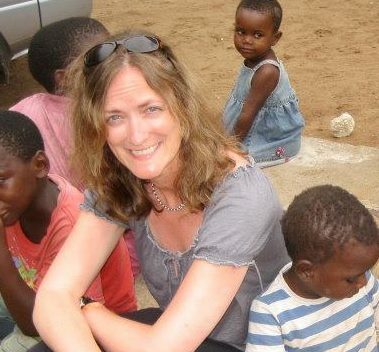 Her focus on the children of Tanzania is inspiring! Rebecca is an inspiration to all who know her. Congrats on this honor!